Coloured Gemstones come in a massive variety of colours, sizes and shapes. Although some varieties of gemstones over the years have been dubbed “precious” or “semi-precious”, their value is more reflected in the individual gemstone’s qualities. Qualities such as size, clarity, cut and depth of colour contribute to a gemstone’s value as well as the gemstone’s type. Gemstones come from all around the world. Often the country of origin can be attributed to certain features. 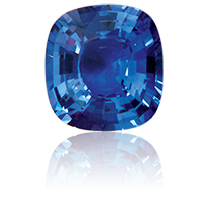 For example, Ceylon Sapphire is a specific tone of blue originating in Sri Lanka (formally Ceylon). All gemstone have a hardness (scratch resistance) rating that can be measured on a scale called Moh’s scale of hardness. This scale runs from 1-10, Talc being 1 through to diamond being the hardest at 10. A gemstone’s placement on this scale helps to determine what type of jewellery the stone is appropriate for and how much wear it can handle. For example, gemstones need to be above 5 on the scale to be suitable for setting in jewellery. The higher on the scale the more suited they are for everyday wear. Buying a gemstone is your investment in lasting beauty. Treat it accordingly. A gemstone's durability means it can last for generations - but it must be handled with care. Here are some easy guidelines for taking care of your gemstones. Keep your jewellery separated when you put it away. Never let one item touch another, and always put it in soft fabric. Apply colognes and toiletries before you put on your jewellery. Clean your jewellery regularly. WE are happy to recommend the proper cleaning methods for different gems. Bring your gemstones into Berry's every year. They can then be expertly cleaned and their settings checked at no charge. Sapphire is very popular gemstone and is a variety of Corundum. Although most commonly blue, ranging from very light blue to very dark (almost black) blue, sapphires come in a huge spectrum of colours including pink, yellow, green, purple, white, peach and many hues in between. Coming from the corundum family, sapphire is a very hard and durable stone and is placed as a 9 on the scale of hardness. For this reason sapphire is a great choice of stone for any type of jewellery. Sapphire is the birthstone for September and is used to mark the 45th wedding anniversary. Like sapphire, Ruby also comes from the Corundum family. This makes ruby an excellent choice for all forms of jewellery due to its durability and hardness of 9. Unlike sapphire though, ruby is only available in various tones of red. Ruby is the birthstone for July and marks the 40th wedding anniversary. Emerald is the rich, deep green variety of beryl. It is often heavily included, meaning there are more imperfections grown within the crystal, and whilst some inclusions are acceptable this can weaken the stone. Care must be taken with emeralds as they can be very brittle. Where possible choose emeralds with the least amount of inclusions. Emerald is the birthstone of May and marks the 55th wedding anniversary. Spinel is a hardy bright stone available in many colours including red, pink, mauve, blue and black. With a hardness of 8-8.5, spinel is a great durable and bright stone suitable for use in jewellery. Garnets range widely in colours and values. The more common and less valued garnets are the reddish brown (pyrope) and purplish red (rhodolite) varieties. Other colours include green (tsavorite, demantoid), mandarin orange (spessartite), yellow (mali) and orangey brown (hessonite). Garnet has a hardness of 7.25 and sometimes can be brittle when included, so consideration should be taken when using in jewellery. Tourmaline is a popular stone available in a huge variety of colours and sizes. Colours include pink, green, blue, gold and red. Because tourmaline is available in large specimens it is a great stone for using in large dress rings and pendants. Tourmaline has a hardness of 7.5 and is the birthstone for October. Tanzanite is a popular stone from Tanzania. Tanzanite is available from deep purple to the more valued fine blue. Tanzanite has a hardness of 6.5-7 and can be brittle so needs to be worn with care. Topaz is available in bright yellow through to golden tones, and has a hardness of 8. The rare imperial topaz has a pinky apricot hue and natural pink topaz is very rare (beware of the coated variety). White topaz is quite readily available and is heated and irradiated to produce the bright blue colours. Topaz is the birthstone for November. Peridot is a vibrant green stone available in light to mid tones. Whilst smaller peridots are relatively inexpensive, their value increases dramatically for larger stones. Peridot is the birthstone for August and has a hardness of 6.5-7. Amethyst is a variety of quartz that comes in light to deep purple. It is available in a huge number of shapes and sizes. Amethyst has a hardness of 7 and is the birthstone for February. Citrine is another popular variety of quartz. The colour ranges from light yellow to deep intense brandy. As with other varieties of quartz, citrine is available large specimens and has a hardness of 7. 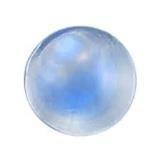 Used in jewellery for thousands of years, Moonstone is the birthstone for June and has a hardness of 6. Translucent to transparent gems with a blue schiller are more valuable than the more opaque milky gems. It is sometimes seen in orange, green and grey tones, and occasionally Moonstone displays a cat’s eye effect known as chatoyancy. Most gemstones are minerals with a crystalline structure that have grown in the earth over thousands of years, but there are a few gemstones that are produced by organisms such as plant or animal matter. These are known as organic gemstones and are usually softer then gemstones with a crystalline structure. Organic gemstone should be stored separately from other jewellery and kept away from harsh chemicals such as perfume, hairspray and solvents. This gemstone group includes Pearl, Amber, Coral, Lapis Lazuli, Turquoise, Jet and many more.